Keep outdoor areas cooler, encouraging customer or homeowner to use your outdoor space longer. Protect customers and guests from UV damage. Protect your investment in outdoor furniture, equipment or fixtures by shielding them from the elements. Provide a more comfortable outdoor space, even on hotter days. Custom Canopies have many applications. Parks, playgrounds & recreation spaces. 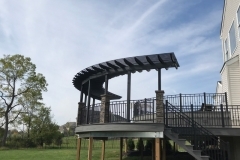 If you are interested in permanent canopy structures for your home or commercial space, call Macaro Iron Works today! 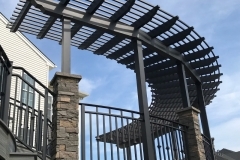 Macaro Iron Works uses aluminum to provide the ultimate in design flexibility with a visually striking and architecturally attractive profile to compliment your design. Creative pergola design options include curves, cantilevers, arches, canopies and are only limited by your imagination at Macaro we can bring your dreams to life. Our heavy-wall extruded profiles allow for longer spans and larger pergolas and shade structures that offer improved durability in commercial applications. 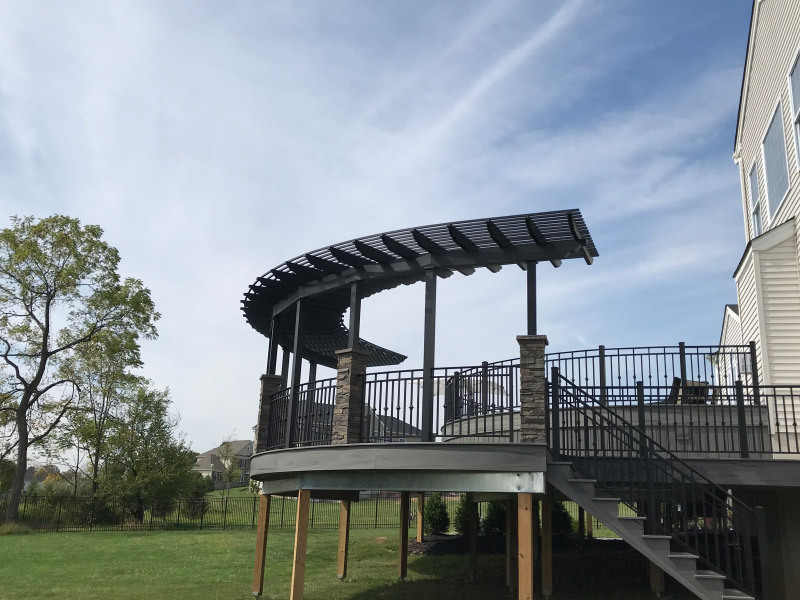 Our pergolas are custom fabricated and finished with our state of the art powder coating process ensuring that your aluminum pergola will offer lasting beauty for years. From backyards to commercial offices and school & college campuses to roof-top living, our aluminum pergolas offer solutions to your most complex design challenges. We are happy to quote your design or we can work with you to come up with a design that meets your needs and provide you with a quote. Contact Macaro Iron Works today for prompt service! 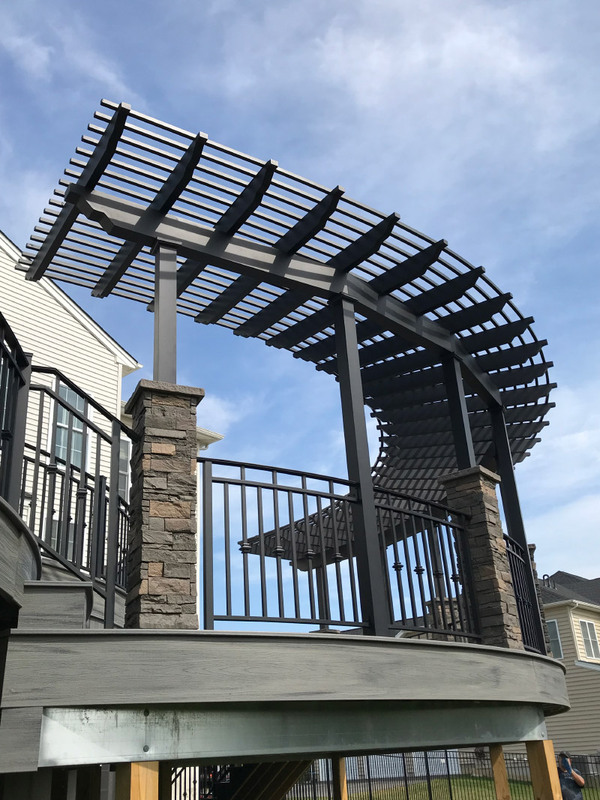 Macaro Iron Works uses aluminum to provide the ultimate in design flexibility with a visually striking and architecturally attractive profile to compliment your design.